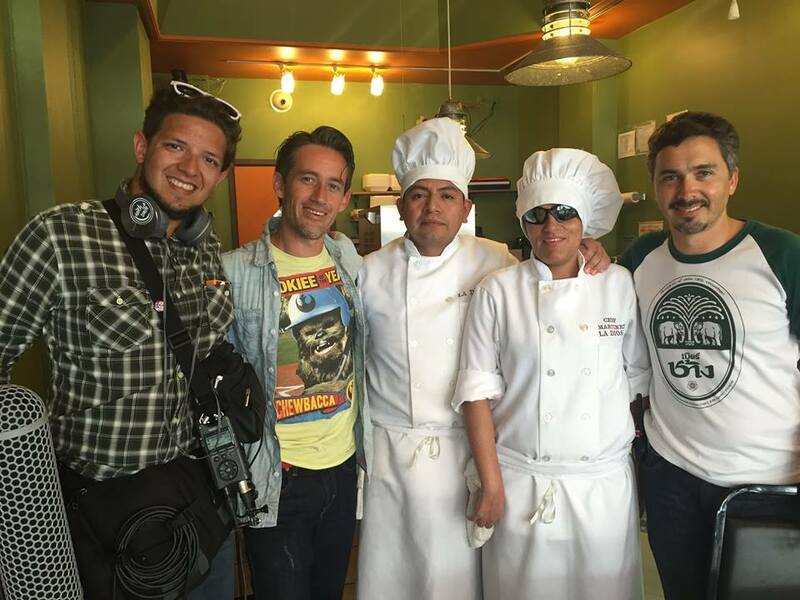 The With a Smile Films Team with La Diosa´s chef Martínez and Mauri Ortega. A few days ago, La Vitamina T was thrilled to participate in the project of Mexican documentalist crew, With a Smile Films. The group is working on an initiative that strongly resonated with our mission to harness the power of food to, among other goals, invoke memories, overcome distances and bridge cultures. La Vitamina T had the good fortune to spend a day with producer Alex Aguilar, director Danky Sáenz and tech wiz Santiago Casillas. 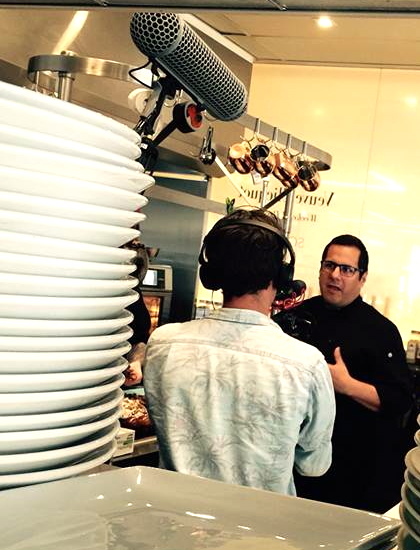 The schedule, which was thoughtfully secured by our team, featured a tour of Chicago and included a few of the innumerable stops that highlight the pride, passion and talent of food experts and enthusiasts who bring a little bit of Mexico to our hearts and tables in Chicago. It is easy to see that Sophie´s Ron Aleman cooks with a Mexican soul. It is a good thing we walked so much, because we were generously fed everywhere we went! Stay tuned for more information on this documentary as it’s being “baked”. It promises to be delicious! 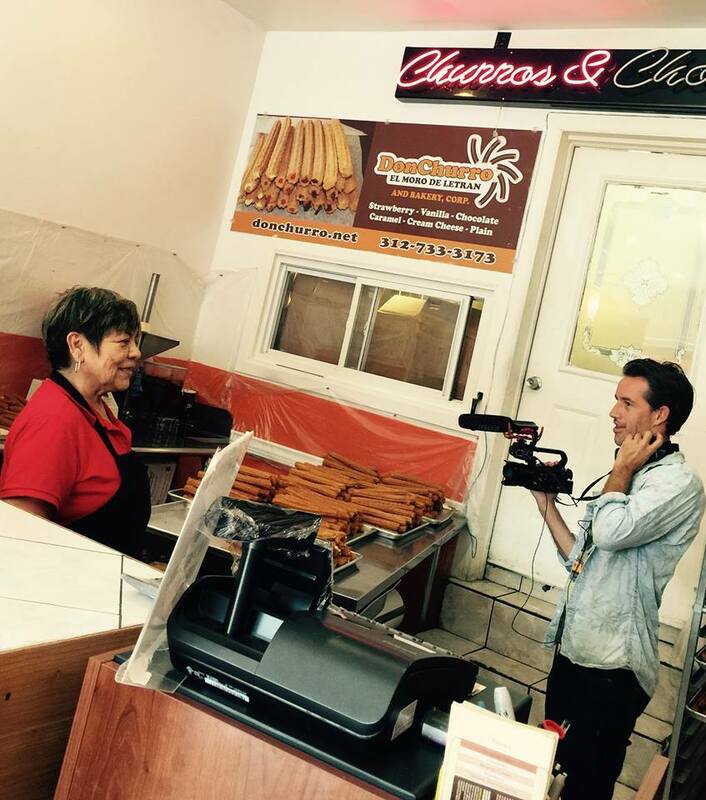 María Molina proudly speaks about the passion behind “Don Churro” in Pilsen.